Manpreet Grewal is a commissioning editor for Sphere, which is Little, Brown’s commercial imprint. She commissions across all genres of women’s fiction, acquiring everything from romantic comedy and sagas to debut and book club fiction. Sphere is the big commercial imprint of Little, Brown and we’re all about publishing great stories that will strike a chord with as many people as possible. I’m very lucky to have the enviable task of acquiring women’s fiction, which is a varied and rewarding remit. I’m not a big fan of working on the same kind of thing all the time so my role gives me the opportunity to work on everything that a commercial female reader might want to read – romantic comedy, historical fiction, sagas, book club novels. The list goes on! I work closely with Carole Matthews and Jenny Colgan, and my own authors include the lovely Vanessa Greene, whose novels The Vintage Teacup Club and The Seafront Tea Rooms have enchanted readers who are looking for multi-voiced narratives centred on strong female friendship. I recently acquired two new adult novels by the beloved Sarra Manning and I’m so looking forward to working with her. What Milo Saw by Virginia Macgregor is a debut I’m extremely excited about – it’s a big story about a small boy who sees the world a little differently and I think readers everywhere are going to fall in love with it. Lisa Dickenson is another of my authors and she wrote The Twelve Dates of Christmas (winner of Novelicious’s Debut of the Year award!) and You Had Me at Merlot – they’re romantic comedies that will have you falling off your seat in fits of giggles! Lisa’s novels have been published as ebook serialisations and we’re publishing The Twelve Dates of Christmas in paperback next year and I just know that publication is going to be so much fun. Helen Huthwaite works as an Editor for Avon, HarperCollins’ commercial fiction imprint. She works across women’s fiction, crime and saga, acquiring debut talents and managing bestselling authors such as Paul Finch, Mhairi McFarlane and Kitty Neale. Every morning I hop on the tube and travel the short distance to the HarperCollins office in Hammersmith. For those of you who have never visited Harper Towers, it’s quite a place – a breezy glass atrium hides offices filled with tottering piles of books and manuscripts – and it’s everything I’ve ever dreamed of. For me, it’s exactly how a publishing house should be; bookworm heaven. At Avon, we’re all about commercial publishing. We’re a small, nimble team with our finger firmly on the pulse, and we’re always listening closely to what our readers want. We’re best known for our women’s fiction and I remember how nervous I felt when I published my first acquisition, Mhairi McFarlane’s You Had Me At Hello. From the moment it landed on my desk, I couldn’t stop raving about it, going so far as to tell my team that this book was so far up my street it was banging on my door! Enthusiasm aside, it was a valuable lesson for me; listen to your gut. You Had Me At Hello was sharp, witty women’s fiction that once made me laugh so hard I snorted milk out of my nose whilst reading/eating a bowl of cereal. The book was a breath of fresh air – and most importantly, readers agreed. And that’s exactly what we still look for at Avon; books that you can’t put down, books that intrigue and excite, and – crucially – books that we can sum up into a single, perfect elevator pitch. As a commercial imprint, this is so important – we have only a small amount of time to capture our readers’ attention, so we need to be as directional as we can in both pitch and package. Francesca Best is a Commissioning Editor at Hodder & Stoughton, specialising in commercial women’s fiction. Here, she lets us in on what she would love to find in her submissions. In my time at Hodder I have worked on and edited authors such as Sophie Hannah, Jodi Picoult, Jojo Moyes, Peter Robinson and Jeffery Deaver, but now I essentially concentrate on commercial women’s fiction, the area I’ve always wanted to work in – I count myself extremely lucky that I am paid to acquire and publish the sorts of books I’ve always loved to read! My authors include the brilliant Lucy Dillon, whose A Hundred Pieces of Me joyfully received such widespread acclaim earlier this year, fantastically funny chick lit writers Chrissie Manby and Alexandra Potter and Irish author Ciara Geraghty whose work is justifiably compared to Marian Keyes. I’ve also lately acquired New York Times and international number one bestselling author Emily Giffin. I was a bookworm as a child (special talents involved reading while brushing my teeth) and I will never forget the night I stayed up until 5am as a teenager reading Jane Eyre for the first time, because I was entirely gripped by Jane and Mr Rochester’s story and couldn’t countenance putting the book down. Apart from Jane Eyre, my all-time favourites, the ones I return to time and again, are The Lost Art of Keeping Secrets by Eva Rice, I Capture the Castle by Dodie Smith, and Coming Home by Rosamunde Pilcher. Basically if it involves remote country houses (crumbling or otherwise), young penniless women yearning for love and possibly a story set in wartime, I’m sold. I’m always looking for that sort of absorbing storytelling, something that’s sweeping and romantic and means I want to live in the book for ever. Harriet Bourton joined Transworld Publishers in April 2013. Harriet is a Senior Commissioning Editor and runs the Women’s Fiction list, acquiring new writing talents alongside working on brand authors such as Danielle Steel. I have always loved commercial fiction; I grew up in a house where stacks of paperbacks nestled in every nook and cranny. Women’s Fiction became the cornerstone of my reading habits and felt like the natural place for me as an editor too. It’s a funny term, really, ‘Women’s Fiction’ – it sounds like something your nana would read – but when I explain what I do to friends and family (including my nana) I say that it’s a bit of a catch-all term for stories by women, about women, for women. It’s much harder to condense this passion into a neat summary of what I’m looking for, though! Essentially, I’m looking for Women’s Fiction with a clear narrative hook that packs a good punch. I get excited about books that you can pitch in one sentence but once you’re into them they deliver so much more – and I love to be surprised by the humour or emotion of a novel. Above anything though, I want books with a strong voice. Like a lot of people, I want to laugh or cry. But I also want to be whisked away to another time or place, and I’m particularly keen on time-slip and nostalgic fiction at the moment. I like books set in the 40s, 50s and 60s – there are lots of fascinating stories to be told about that time in regards to women’s changing role in the workplace, the home and society. Little, Brown Editor-in-Chief Antonia Hodgson has worked in publishing for 19 years. Here, Antonia talks about career highlights and day-to-day tasks of her editorial role as well as her first experience of crossing over to the Other Side as an author, as she prepares to launch her debut novel, The Devil in the Marshalsea. I’ve worked in publishing for 19 years – pretty much half my life. One of the things I love about my current role is the variety of books I’m able to commission. This is unusual – most people specialise in a particular genre, or at least work in either literary or commercial fields. At the same time, I only have a small list, which means I can dedicate a lot of time to each book. So I’m omnivorous but choosy, like a fussy hedgehog, which would be a great name for a publishing house. Ask the Editor – How did you become an editor? What was your first job in publishing? Caroline Hogg has worked in publishing for almost ten years, at Little, Brown Book Group and more recently at Avon, HarperCollins. She's currently at Pan Macmillan as Senior Commissioning Editor for Commercial Women's Fiction. She knows her stuff! How did you become an editor? What was your first job in publishing? My first job in publishing was as an editorial assistant at Little, Brown Book Group, on the Abacus imprint. I can’t stress how lucky I was: only a few months out of university, having never worked in an office before and admittedly rather clueless about publishing! My first two bosses were incredibly lovely people that took a chance on me and gave me an excellent grounding in the business. I had already had several work experience placements (which I really recommend if you want to get into publishing. You not only get a flavour of the work but you get to meet people, and so hear about job openings) which was a good introduction to the industry but only really skimmed the surface. There was so much to learn and it all seemed so glam: launch parties (where I could be found serving the wine and snaffling canapés when no one was looking), submissions to read (though I mostly read from the slush pile to start with, which was certainly interesting) and most exciting of all was meeting real authors. It took me quite a while to stop becoming completely speechless in front of them – I was a quivering wreck in front of Margaret Atwood, which still makes me cringe to this day – and I had to pinch myself that it really was my job. For an English Literature graduate, it was a dream come true. Ask the Editor – Why do you edit Women's Fiction? Why do you edit Women's Fiction? Caroline says: Because I love it, simple as that. With women’s fiction you get the most amazing range of stories, emotions, twists and turns, and laughs. ‘Women’s fiction’ covers a maddeningly wide range of authors, simply put together because they are women (I won’t open this particular can of worms, because I could be here forever otherwise) and they write about every angle of life, good and bad, heartwarming and heartbreaking. What more could you ask for? Why don't you Ask the Editor? 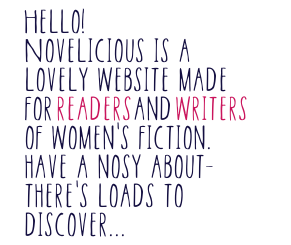 Just email a question to kirsty@novelicious.com, ask on our Facebook or Twitter or just leave a comment below! Ask the Editor - What do you read for pleasure? What do you read for pleasure? Do you try to get away from the genre you edit as you work with it in your day job and who are your favourite authors? Caroline says: I don’t read for pleasure as often as I’d like! I spend some of my spare time reading for work, so if I get weekends or holidays with a nice big chunk of free time, I want to spend it reading something I know will be really entertaining. So, I do sometimes read ‘the book everyone’s talking about’ as you can’t get a better recommendation than word of mouth. This is how I ended up addicted to the Hunger Games trilogy, and recently read Dearest Rose by Rowan Coleman and now I’m part-way through Gone Girl. But in the main, I still read women’s fiction simply because it’s my favourite thing to read. It’s why I do this job. Some of my favourite women’s fiction authors include Sally Beauman, Jojo Moyes, Marian Keyes and Harriet Evans (I’m leaving out authors I’ve worked with so you can’t accuse me of being totally biased! But it goes without saying I absolutely love reading the authors I publish; that’s how I’ve ended up publishing them). One of my all-time favourites is Lazy Ways to make a Living by Abigail Bosanko. Oh, and Bridget Jones’ Diary, of course. An agent or editor has likely read hundreds upon hundreds of opening chapters. What's going to surprise them in yours? Is it a razor-sharp sense of humour? Powerful emotions? The hint of secrets about to unfurl? Make them blink in surprise and go back to reread something and you'll have hooked them. Agents and editors also have a sharp eye for spelling, punctuation and grammar. Make sure you check your work several times before submitting and ask a trusted friend to read it too. Fresh eyes are always good at catching simple but telling mistakes. I think it’s a common temptation to open a novel with a tempestuous storm or hot sticky heatwave to get across an instant feeling of drama. Make sure you're not relying on the weather to do all the work for you though, as this can quickly turn your novel into a wet weekend. It should be your characters and storyline bringing in the drama. If you’re writing in a genre because you think it’s in demand or the next big thing but it’s actually not your cup of tea, your voice will never ring true and make a convincing read. Write what you love and write it confidently – your readers want to start that first chapter and feel instantly they’re in good hands. Perhaps the trickiest thing to balance in the opening of a novel is making sure your readers can quickly pick up all they need to know about your characters but without explicitly telling them. Don’t be tempted to take shortcuts but redraft, redraft, redraft until you’re painting a fully formed picture subtly and evocatively. Avon is an imprint of HarperCollins. You can catch up with the latest from Avon at their twitter feed.